Well, it's Memorial Day weekend, which means you can break out your white pants again if you're my mother and still adhere to that rule. Also, it's the unofficial start of summer! I know I am definitely looking forward to weekends spent sitting in the sand, feasting on fresh seafood, and soaking up the warmth of evening bonfires. I have some big plans for this summer, and for this weekend. I am so excited because two of my cousins are in from Arizona and I can't remember the last time I saw them! So, here are five things to do this weekend. Well, first things first, it is now officially "okay" to wear all white ensembles again. I stopped abiding by that rule the second I realized it wasn't a real rule, but a lot of people still adhere to it, like my mom. What it really means though, is that it's time to break out all of your summer clothing if you have not already. I am personally looking forward to wearing dresses every day. Is it possible to go wrong with prosecco and fresh peaches? No? I didn't think so. 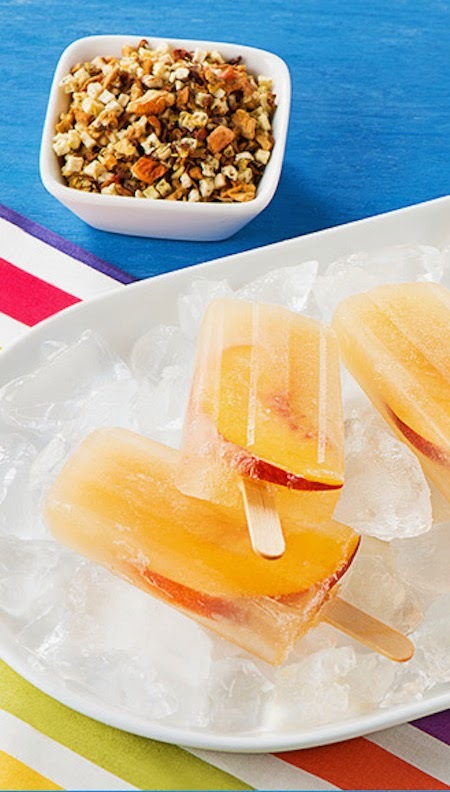 I'm not one to pass up a bellini, so naturally I cannot wait to give these tea infused ice pops a try. They would be the perfect treat after a day spent soaking up the sun. I absolutely love this idea! 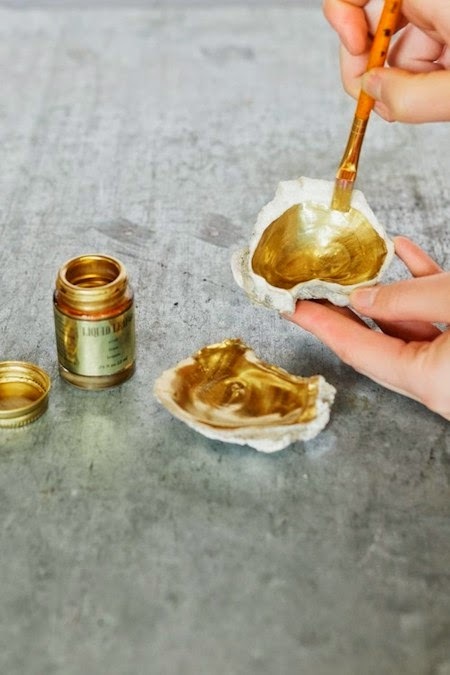 JD and I are hoping to throw a summer soiree / dinner party kind of thing some time over the summer and these pretty little gold leaf oyster shells would be perfect in place of salt and pepper shakers. I think we're all mature enough at this point for things to end up a little differently, or better for the sake of being blunt, than the last time we threw one for my twenty-second birthday, a disaster if there ever was one. Coincidentally, there were bellinis. Have I mentioned how much I love picnicking? Well I do. 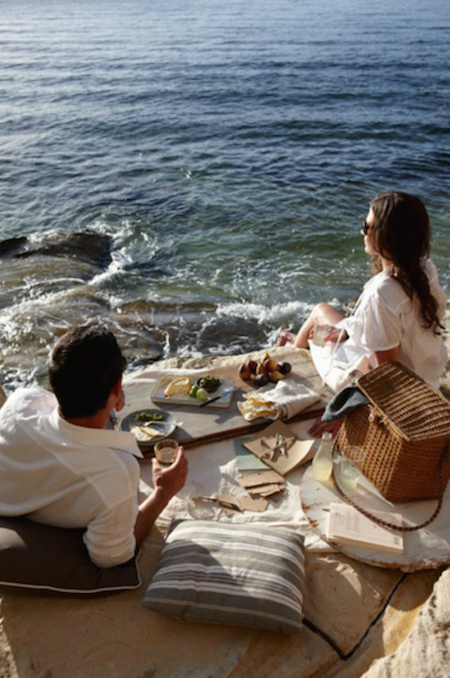 We are planning to spend Sunday at the beach and though there will be a barbecue back at the house, I wouldn't mind packing a few sandwiches and snacks and maybe a strawberry beer or two. I made this strawberry and blueberry truffle tart last 4th of July and actually make this dessert quite frequently during the summer. Aside from how pretty and colorful it is, it's quick and easy to make, plus it can be gluten free. You would just need to use gluten free cookies / crackers for the crust, simple. A favorite combination was graham crackers and ginger snaps instead of shortbread. The ginger flavor complimented the chocolate nicely. Enjoy the three day weekend if you have it and Happy Memorial Day!